A/B Box Il y a 6 produits. 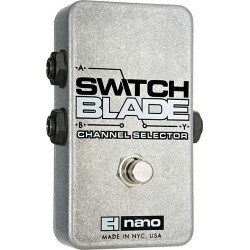 Channel Selector The Switchblade+ offers a convenient solution to a player’s switching needs. Route your signal to either output A or B, or send it to both at once. 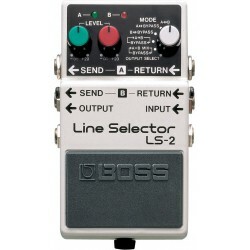 Connect a tuner or effects pedal to its dedicated Tuner output. With a fully passive audio path and active LED indication, the new Switchblade+ is your utilitarian sidekick. 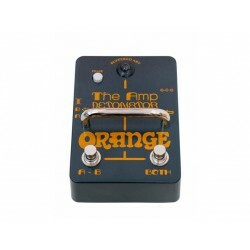 Passive Channel SelectorSwitch your signal between two different amplifiers, two different pedal boards or two different speaker cabinets. Flexible channel switching built into a compact die-cast case. 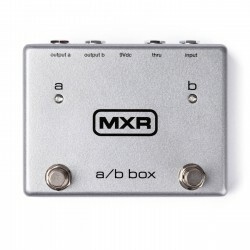 MXR A / B Box Routeur. 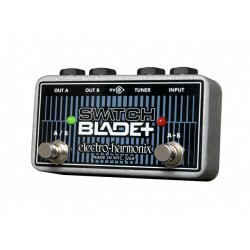 Permet de brancher 1 guitare vers 2 amplis ou 2 guitares vers 1 ampli. 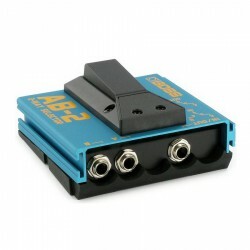 Permet de sélectionner le canal A ou B, ou bien A + B. Alimentation : pile 9V ou adaptateur ECB-03E (non fourni).